Dr. Mark Weintraub was born in Chicago, IL. He graduated Occidental College in Los Angeles in 1981, and Loyola University Stritch School of Medicine in Chicago in 1985. He then did a Surgical Internship at Oakland Naval Hospital, and spent 3 more years as a general medical officer in the U.S. Navy. After discharge as a Lieutenant Commander in 1989, Dr. Weintraub moved to New Orleans, LA., where he was a National Institutes of Health Research Scholar recipient at the Tulane University Primate Research Center, one of only seven federally-funded primate research centers. He then spent five additional years as a surgery and urology resident at Tulane, and completed his formal urology training in 1995. 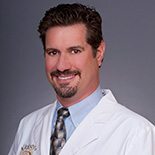 In 1995, Dr. Weintraub moved to Bradenton, Florida, where he has both practiced urology and been actively involved in the medical community. He has served as President of the Manatee County Medical Society, and President of “We Care”, an organization founded by Manatee County physicians that annually provides over $200,000 of free care to the uninsured working poor of Manatee County. He has also served as a delegate to the Florida Medical Association representing Manatee County physicians for several years, and has been fortunate to be able to influence our community’s health care through meetings with Florida’s Governor, as well as numerous other state and local officials. Dr. Weintraub has been a panelist for Sarasota/Manatee BUSINESS magazine (now BIZ 941), and has appeared on local television and radio stations. He has also served on advisory boards for pharmaceutical companies, and is regularly asked to speak to other physicians in the community. In addition, he has given educational lectures to community physicians at both Blake and Manatee Hospitals. Dr. Weintraub has continued to be active in the community, including being a founding member of a Jewish Synagogue, and participating in city historic district renovation plans. Dr. Weintraub practices all aspects of general urology, but has a special interest in renal surgery, kidney stone management, and minimally invasive surgical treatments. He performs many laparoscopic kidney procedures, no-scalpel vasectomies, and minimally invasive therapies for the treatment of prostate disorders. He was the first physician in Manatee County to perform microwave therapy of the prostate.